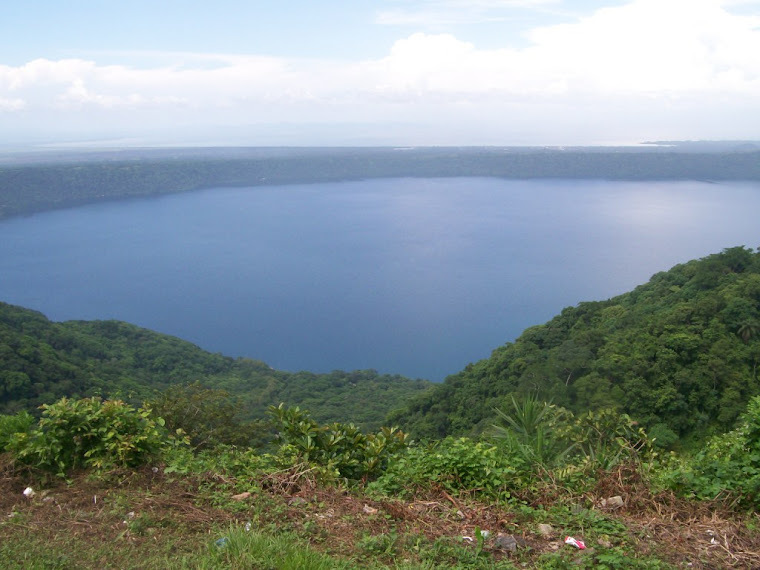 Spanish courses are provided at the Apoyo Spanish School, located at Estacion Biologica in Laguna de Apoyo Nature Reserve. Ours is the oldest existing Spanish school in Nicaragua. Our school is part of the Nicaraguan Foundation for Integral Community Development (FUNDECI), a registered not-for-profit organization in Nicaragua. Ours is the oldest continuously operating Spanish school in the country, and we have provided training for teachers in most of the other schools-we teach the teachers in regular workshops. We typically provide classes in one-on-one instruction, but we can also arrange classes in small groups. All proceeds received by FUNDECI go towards community development and environmental protection in the country. Lunch is a family affair. Photo by Belen Camino. 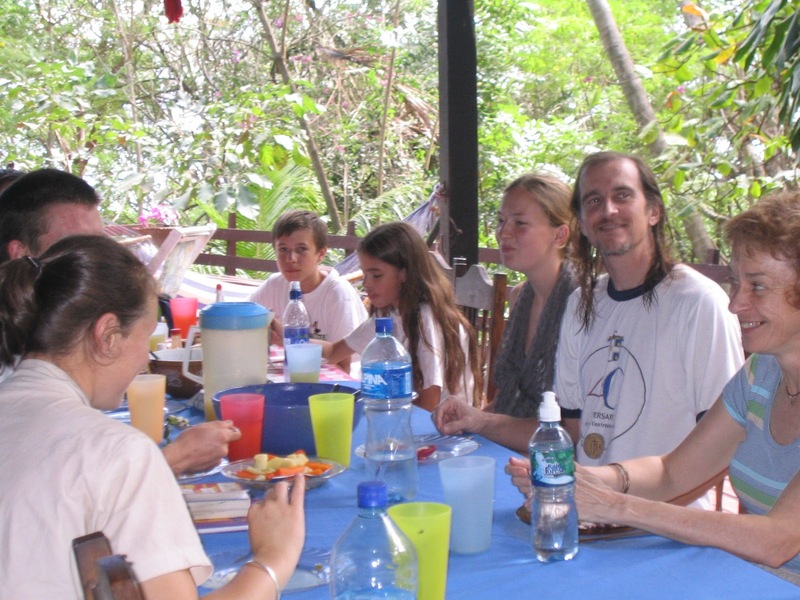 Apoyo Spanish School offers Spanish training for all ages. Photo by Belen Camino. Young people are welcome here! We have teachers with experience in children's education. 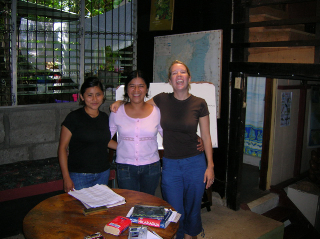 Teachers and students at Apoyo Spanish School. Photo by Belen Camino. 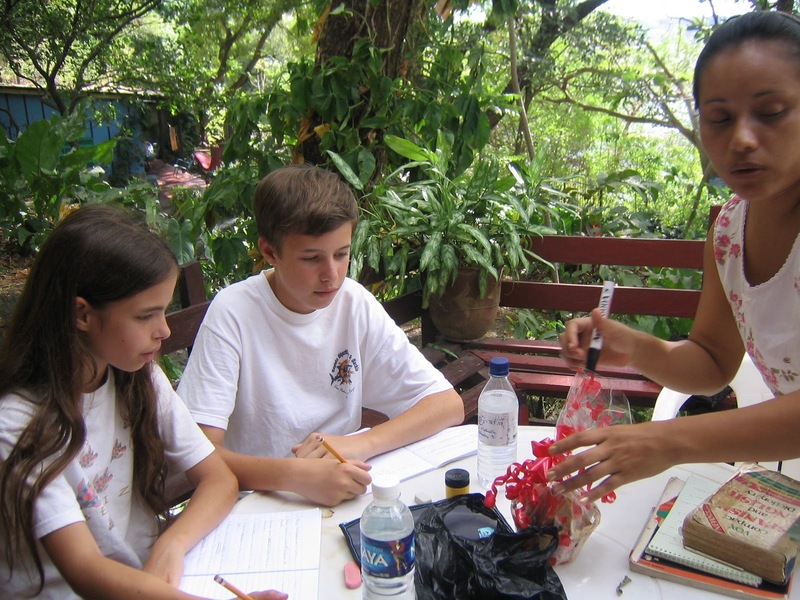 One-on-one Spanish instruction under large trees at Apoyo Spanish School. Photo by Jeffrey McCrary. Classes are often held outdoors, under the shade of large trees. Monkeys are often passing overhead during classes. If you like the idea of studying Spanish with nature near, come to visit us. Homework! Photo by Jeffrey McCrary. 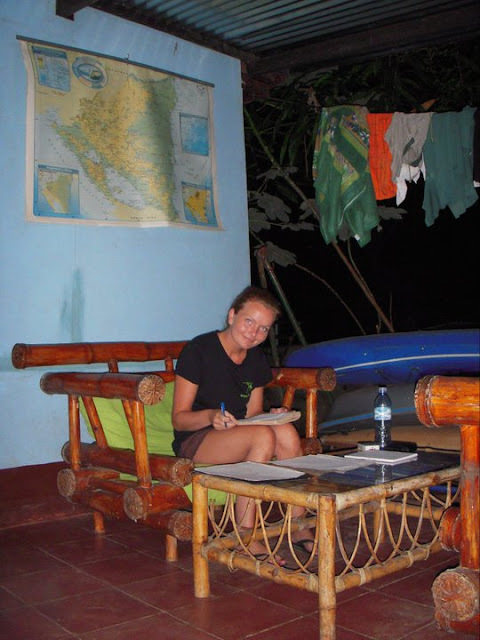 ﻿Mette is diligently finishing her homework-while the less studious ones are playing in the lake! Our Spanish training courses are integrated with other activities of the research station in community and environmental issues. We provide one-on-one and small-group instruction with accomodations in a natural setting, with the best teachers in Nicaragua!